Stay Warm When it is Cold! Workers should be encouraged to wear two pairs of socks and insulated boots. 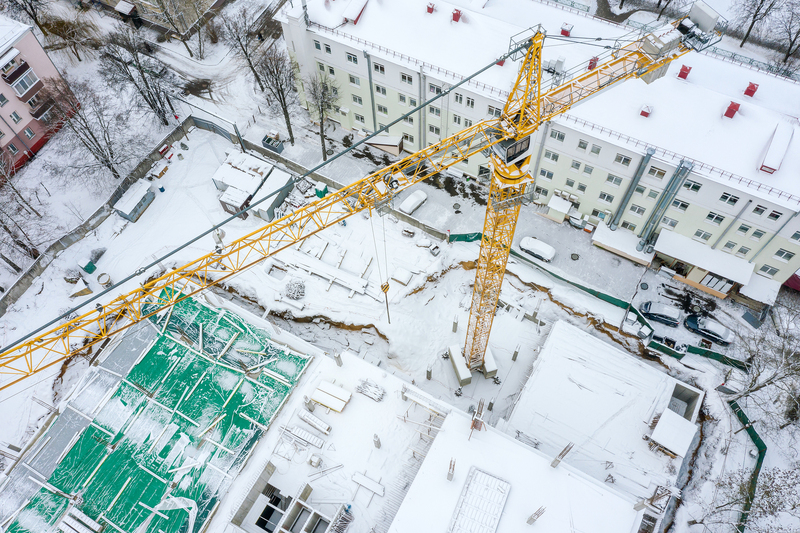 Standing on concrete or outdoor surfaces for long periods of time can make it difficult for professionals to stay warm. Using composite-toe boots, layered socks and standing on mats or other insulating barriers can help. Scarves — as long as the loose ends are safely tucked away into coats — are a good way to retain heat in the neck area, where coats and hats don’t help. Helmet liners, which are often made of fleece, add a layer of insulation and help ensure workers’ heads and necks are warm. Most of our body heat escapes through our heads! Wrap-around eye protection can help maintain heat near the face, and of course protect the eyes from wind-blown objects that could cause injury. Employees working outdoors for extended periods of time should invest in thermal-insulated coveralls. These are designed to reduce lost body heat and retain a high core body temperature. They are relatively comfortable and worth the investment. It is crucial for workers to stay hydrated during the winter. Job Foremen should encourage workers to carry hot water in a thermos to sip during the day. Drinking warm water instead of cold will help keep up the body’s temperature. It is recommended to stay away from drinking coffee, as it actually saps moisture from the body and is a diuretic. Supervisors can invest in work-site safe space heaters. This option may be best for projects in smaller locations, because most space heaters do not warm large areas. Also care must be taken that they do not cause fire to start in enclosed areas. NYC Shanty can of course install an M/WBE Certified construction shanty, 100% All Metal, not metal clad, complete with heater so a warm, safe break place will be available to the entire crew, as well as an on-site office for supervisors. These shanties are great for storage or a changing area too. They can be owned or even rented! NYC Shanties are built with our patented “Z.Lock” panels, using galvanized steel to achieve its strength, durability and non-combustibility, and are easy to install. Heated Gear Options – Workers and managers concerned about the extreme cold this season should invest in heated gear. Durable carbon fiber heating elements woven in between rugged exterior materials and thermal insulating liners create, distribute, and trap heat around core body areas to keep you warm and moving in any weather conditions. These jackets can be worn as a vest or as a full coat and most have detachable hoods. They can be powered by batteries and some even have a USB port for on the go charging! The main thing is to stay warm and safe during the treacherous winter months while working outdoors on NYC construction sites! 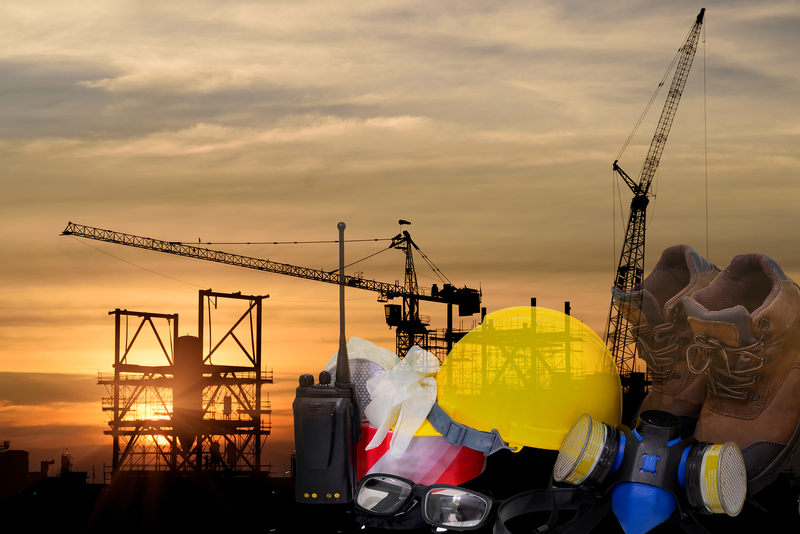 Job safety is number one, no matter if it is weather related, safety equipment or procedural. Make it a priority!